Videos | What's Up for March 2012? What's Up for March 2012? Be sure to mark your calendar for an amazing planetary view this month. Many planets continue to put on a show in the west and Venus prepares to transit the Sun. Track Comet Garradd with your backyard telescope and prepare for Sun-Earth Day on March 20th. Jane Houston Jones: What's Up for March. View Mars at opposition and planet highlights galore. Not a week goes by this month when there isn't an amazing planetary view. On March 3 Mars reaches opposition, when it's closest to Earth in its 2-year orbit. This year Mars won't be very close, though. At best, it will be 63 million miles or 112 million kilometers from Earth. At each future opposition until 2018, Mars will be closer to Earth and will appear even more impressive. Even though you'll need a telescope to see any markings -- like the north polar cap -- it's fun to imagine where NASA's Mars landers and rovers are. 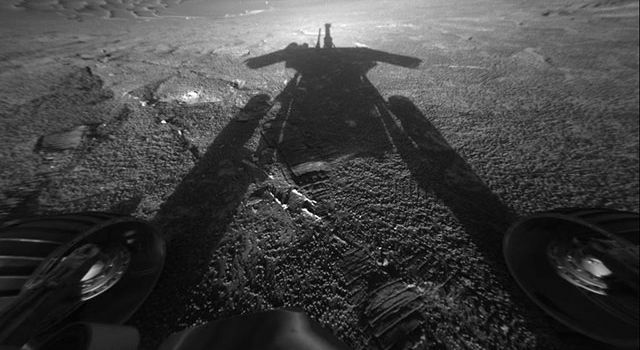 The Phoenix lander site is not too far from the north pole, while the rovers Spirit and Opportunity are closer to the equator of Mars. Jones: NASA's Mars Science Laboratory Curiosity rover will land in Gale Crater in August.Rocket sounds. Jones: On March 5 Mercury reaches its highest altitude in the sunset sky. You'll easily see its phase through a telescope. Have you been watching Jupiter and Venus, the two bright planets in the west? On March 12 and 13 they meet and pass one another. Venus is the brighter of the two, and through a telescope you can see its half-lit phase. Use the moon as a guide to Mars on March 7 late in the evening. And let the moon guide you to Saturn on the 10th and 11th. At sunset on the 25th look for the moon near Jupiter. On the 26th it's near Venus. If you didn't catch Comet Garradd last month, don't worry. It's still putting on a great display this month. Look between the Big and Little Dippers to see it through a telescope, even from your back yard in the city. March 20 is Sun-Earth Day. with safe solar viewing parties, the only way you should ever look directly at the sun. And there should be more safe solar viewing parties for the June 5 transit of Venus. Lucky observers will see the planet Venus as it crosses the disc of the sun. 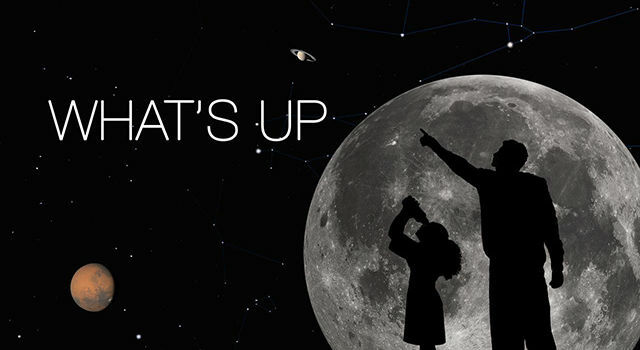 or look for sky-watching events at your local museum. at NASA's Solar Dynamics Observatory website. And you can learn about all of NASA's missions to the solar system and beyond at w w w dot NASA dot gov.